It has been with great pleasure I have again been given the opportunity to Chair this unique club for 2016 /2017. 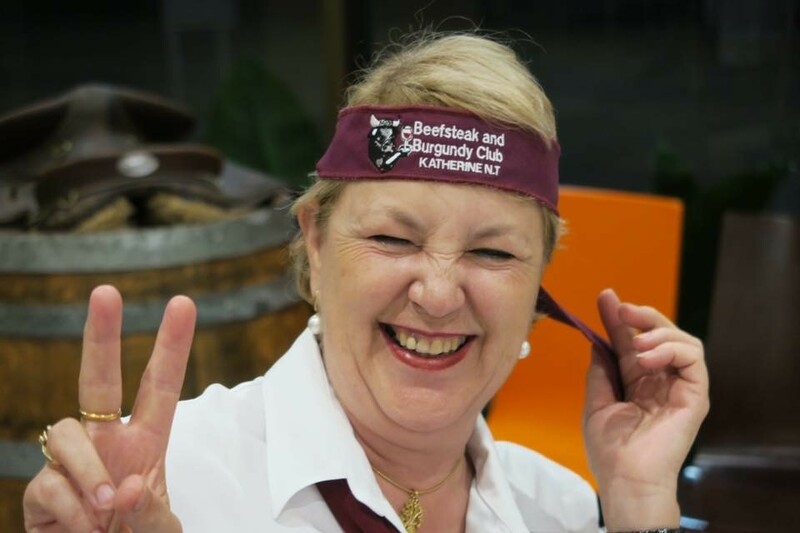 Traditionally the primary objective of the Beefsteak and Burgundy Clubs is to create an environment where members share knowledge and experience great wine, food and companionship on a regular basis with these dinners actually being dinner meetings. The past saw us digressed away from the dinner meeting, however with the reinvention of the dinner committee over the last few years we have reintroduced this format for this year with 4 of the dinners being formal dinner meetings with the expectation of all wearing our official uniforms and name badges, which I might add looks rather quite spiffy. I personally think this has been quite successful as we have been able to mix both business with pleasure and I’m happy to recommend to the new committee that we keep this format going. Next year is our “big 30th Anniversary” and my hope is the club will be able to commit to a couple of unique function to celebrate this amazing milestone, and I believe this will be discussed in more detail under general business. So WELL DONE AND A BIG THANK YOU to all members past and present for your continued support, attendance and commitment to this club. 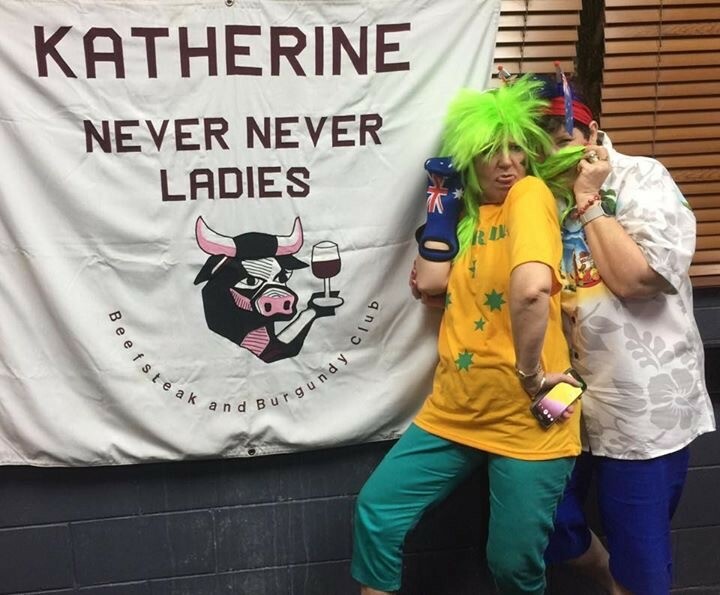 We have been fortunate enough to once again be given a slot in the traditional monthly meat raffle roster at the Katherine Club to do the small raffles in November this year. This opportunity is what helps boost our healthy bank balance along with the other raffles the Dinner Committee has run and last but not least the Fines Master. 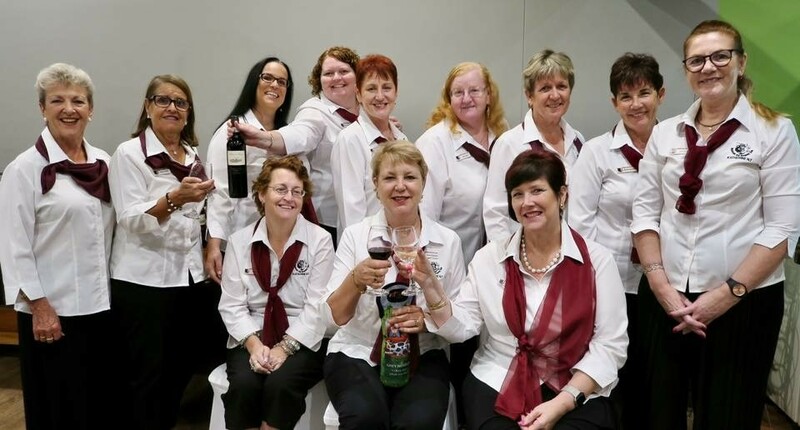 The convention next year will be held in Coonawarra 9 to 11 November, and it’s a big ask to plan / celebrate our anniversary and travel to Coonawarra as a club. 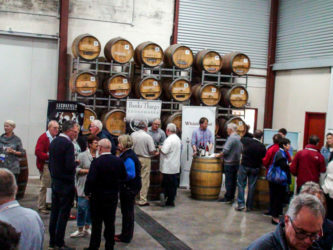 However, I do encourage each and every one of you if you intend to be down that way, to think about attending this Convention as I am led to believe the Coonawarra area is one of the most magnificent and picturesque wine areas in Australia, supporting some amazing wines. I already have this on my to do list as it’s an area I have not visited and it gives me the opportunity to visit family. Now to make a rather boring report a bit of fun here are Just a few of the memorable 2016/2017 functions we have enjoyed this year. 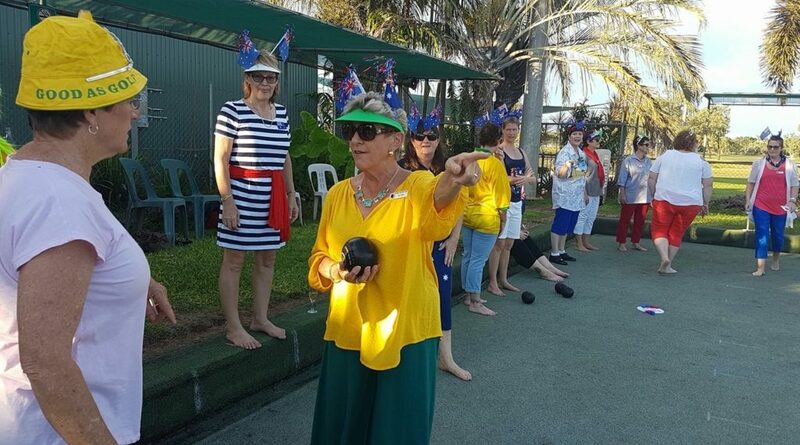 The Dinner committee moved away from the traditional pool party to try their hand at an afternoon of Lawn Bowls and then dinner at the Golfie. 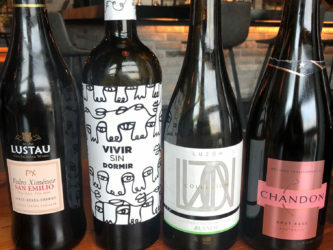 I have to admit I was extremely sceptical of the dinner venue, however I will be the first to put my hand up and say I was wrong and pleasantly surprised. This turned out to be a fabulous way to start the New year off and I’m sure all who attended had a great time, I know I did, as it was a very rewarding evening for me personally– (so thank you all for your donations to the club i.e. 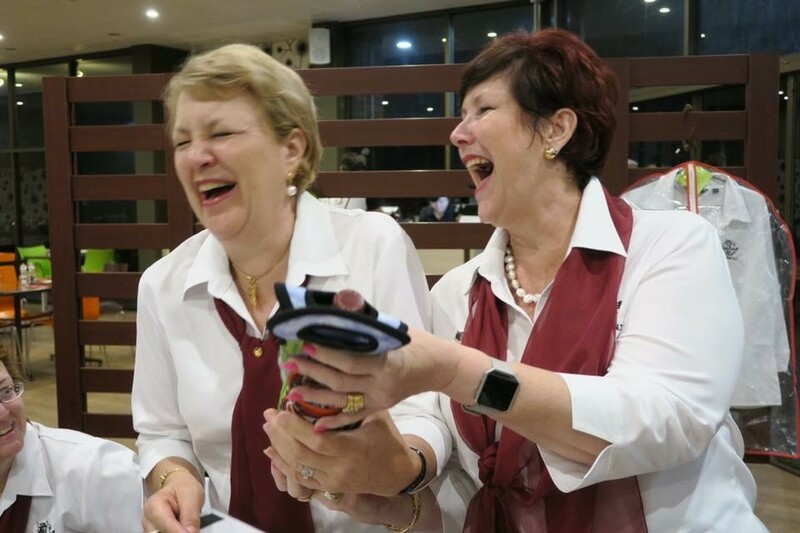 in the form of raffle tickets – especially Fay – so I could be the proud owner of a Beautiful Burgundy Hand Bag which has served me well throughout the year. The FOOD – OMG what can I say, I never knew the Golfie had it in them to turn out a meal like we had. It’s just a shame that Rick our Host for the evening couldn’t be enticed to stay at the Golfie as I’m sure the dinner committee was keen to keep the relationship going as it gave the club another unique venue to utilise. 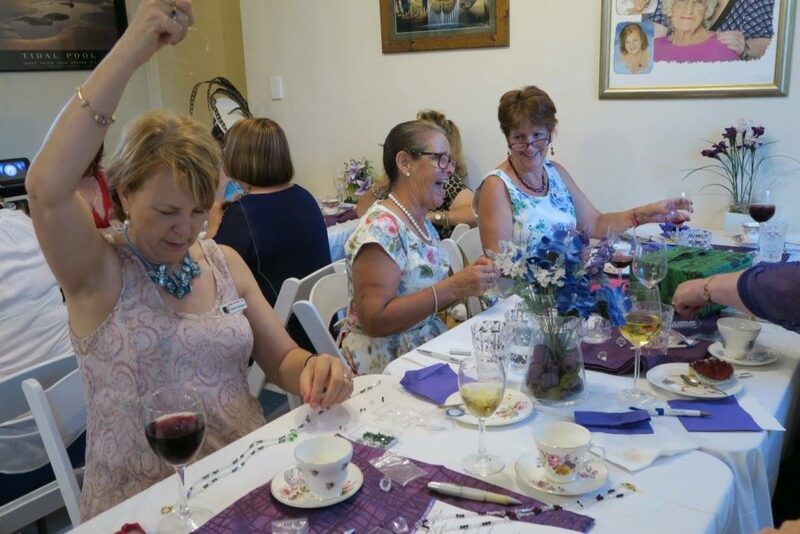 This was another testament to the Dinner Committees skill set of being able to work with and turn the brain child of one of our own, into yet another way to spend time together, over a glass of wine and high tea nibbles – all while learning to make our very own unique style of trinkets. Thank you Cathy Highet for being a fabulous host and opening up your home and sharing your passion for Jewellery making with us. Ladies if you have any suggestions / ideas on the type of dinner / function you would like to see happen, – the Dinner Committee is only too happy to work with you and assist you in helping make this happen. 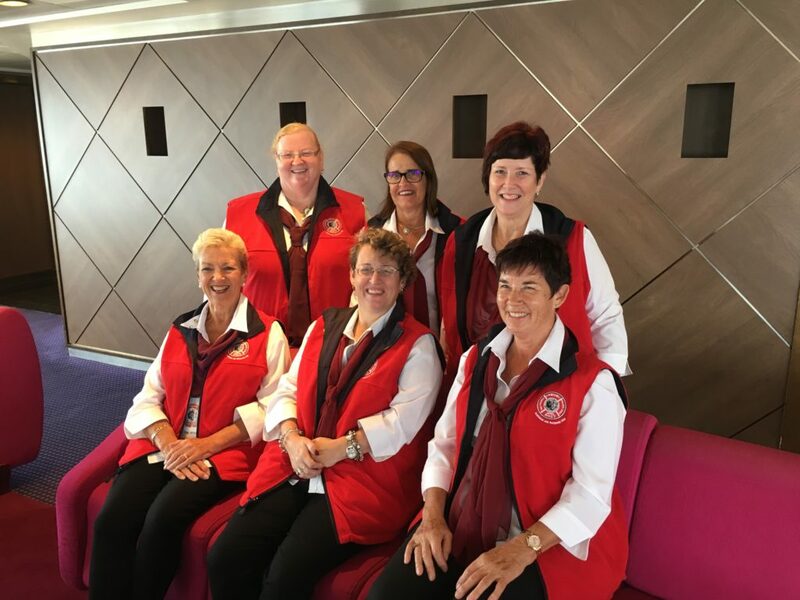 Our reputation for having good fun and enjoying each other’s company saw 6 member along with partners from the Never Never Ladies spend a weekend cruising on the Pacific Eden in the outer harbour of Adelaide for the 2017 B&B Convention. 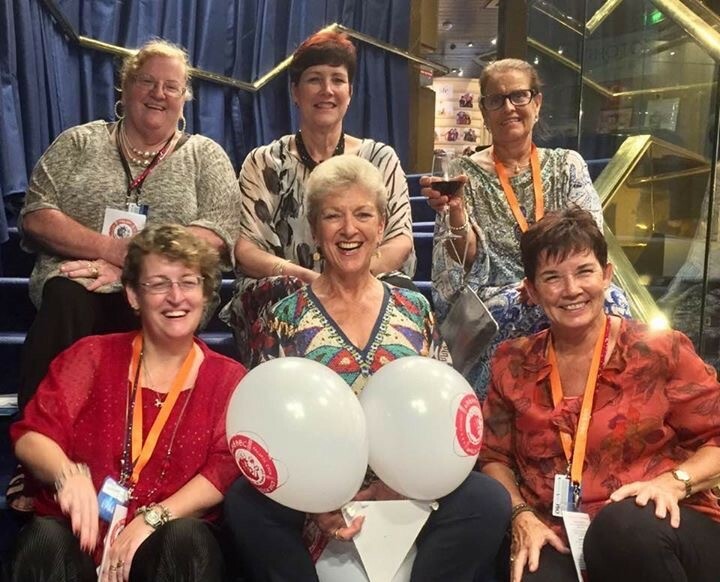 This was not a usual style of Convention however it gave a few of us who hadn’t been on a cruise ship before the opportunity to experience what a cruise would be like. Many thought that there were not enough group activities that gave the opportunity to meet new likeminded members. Unfortunately the choice of venue pretty much left us to own devices. 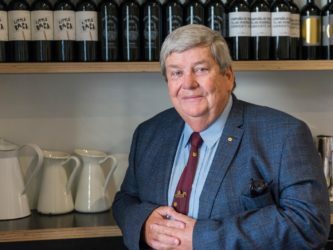 – As the President of this club – it would be remiss of me not to acknowledge the hard work of Tim Fischer the Convention Convenor and his Convention Committee, for the vision and energy it took to put something like this on. They did an amazing job with the tools provided and they dared to put a dream of a Conventi on with a difference together for the benefit of all who attended. 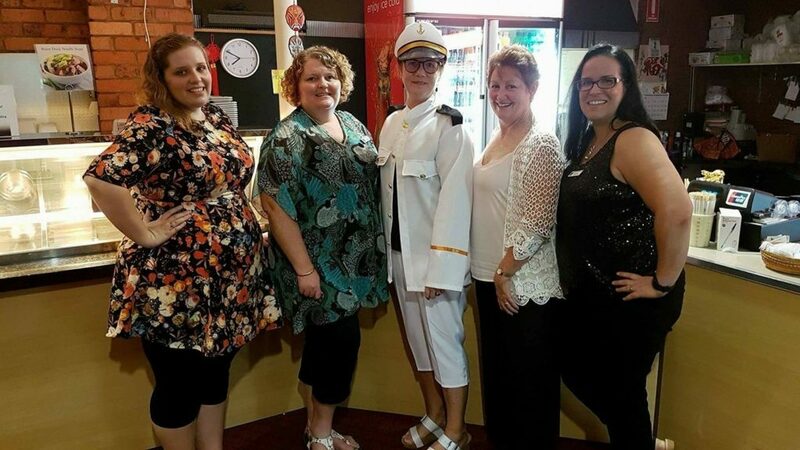 This Convention, although not the usual style of Conventions as previously mentioned, encouraged many B&B members to attend, that haven’t been to a convention before, so hopefully, that in itself, has bought new blood to the family of convention goers. I am also hopeful that this has encouraged a few more of our own club members to attend conventions in the future. 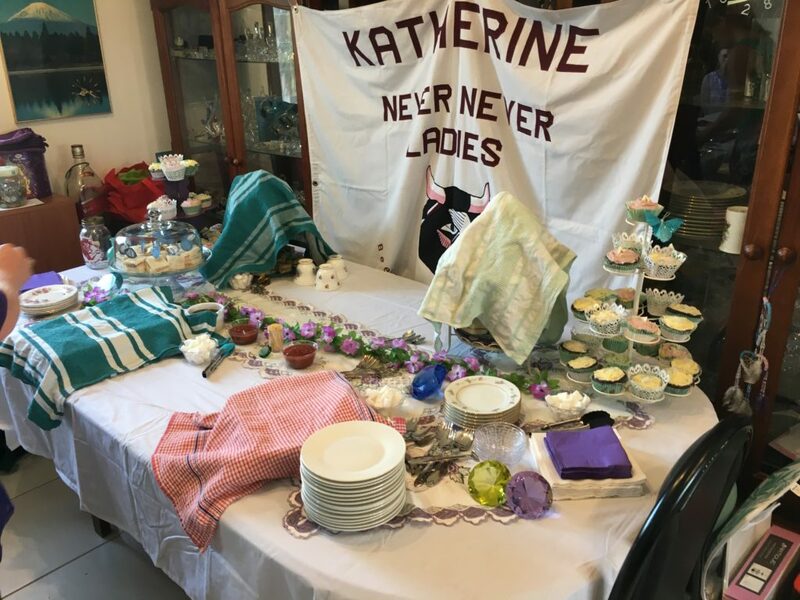 Even though they were short on numbers I was extremely proud of the Dinner Committee and Members that stayed on dry land for going ahead with the usual March Dinner and theming it with a rather fitting title. 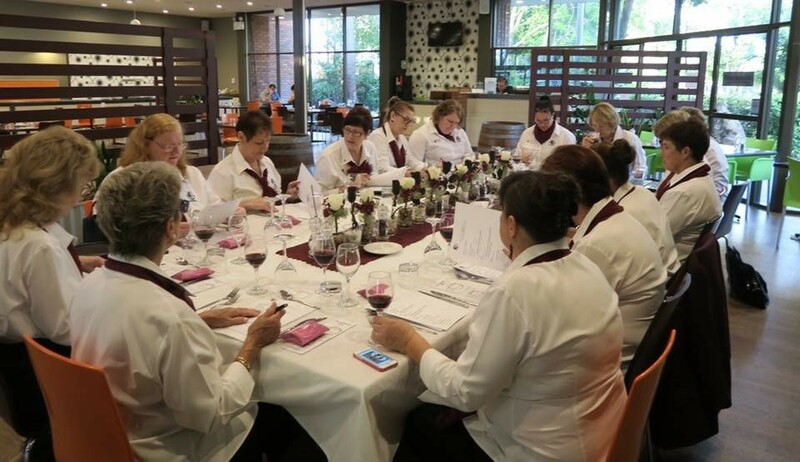 I so love seeing this commitment and dedication you ladies have for the club and the understanding that sometimes other events or even just life, interferes with the planning and hard work that goes into every dinner and meeting. Sharon’s last dinner meeting with us was in July as she and her man planned to drive off and head into the great Blue Yonder. – Sharon had been instrumental in helping over the years to maintain the integrity and security of this club and it’s a testament to her commitment for many, many years that we are currently looking down the barrel of 30 – adventurous,- sometimes risqué – and fun filled years. Thank you Sharon, the Never Never ladies hope that the adventures continue as you travel the long expanses of this country we call home. On Closing I would like to thank the committee and the members for their contribution and dedication to keeping this club running. 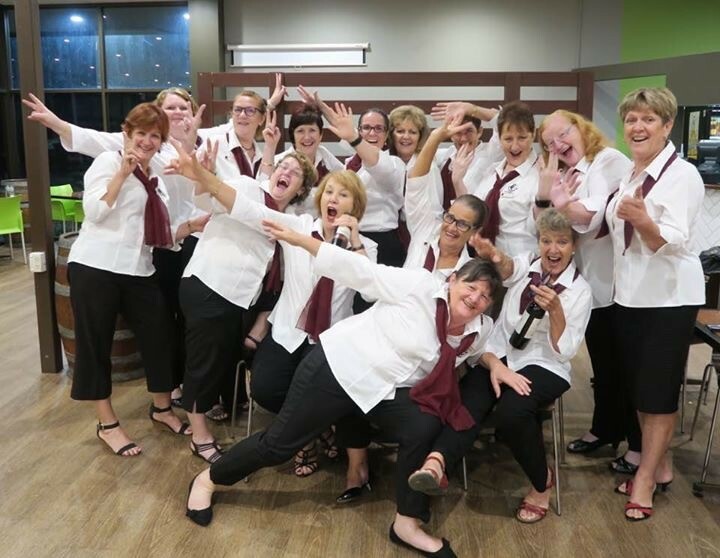 The Dinner Committee – whose functions held this year are a great testament to the commitment of such a small group of women and I would like to commend each and every one of you, “Suanne” “Trish” and “Bernie” for a job well done. To me, the dinner committee is the backbone of this club, without your support to the members who have a vision to come to you with an idea for a special dinner, your commitment, and hard work, we as members wouldn’t experience the camaraderie, fun times, laughter and friendships we have had this last 12 months. For this I thank you. The Secretary “Rachel’ – whose typing skills and ability to keep us on track with our dinner meetings, and the timely manner to which I receive the minutes – particularly when you have to keep setting up your lap top between courses. I truly appreciate this is a mammoth effort and your patience is to be commended. I thank you. The Treasurer – Henry – you once again have been instrumental in keeping our finances on track with another great audit result. The auditor was even placed on record and I quote “I love seeing books so well maintained, it put a smile on my dial” – So I Thank you.